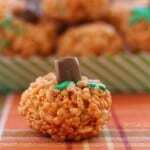 I’ve seen multiple versions of these fun little pumpkin rice krispie treats popping up all over Pinterest recently. My Fall Board is starting to fill up with all thing apple and pumpkin. I have a great fondness for marshmallow, so the old-fashioned rice krispie treats have always been one of my favorite snacks. Henry just learned about mixing red and yellow to make orange, so I thought this would be a good way to reinforce that lesson and enjoy some time together in the kitchen. I piped some green “leaves” (I am NOT a pastry chef or artist in the least) and vines onto a few for a colorful touch. Henry wanted to make one of them into a jack-o-lantern, so we used icing to pipe on a little face. 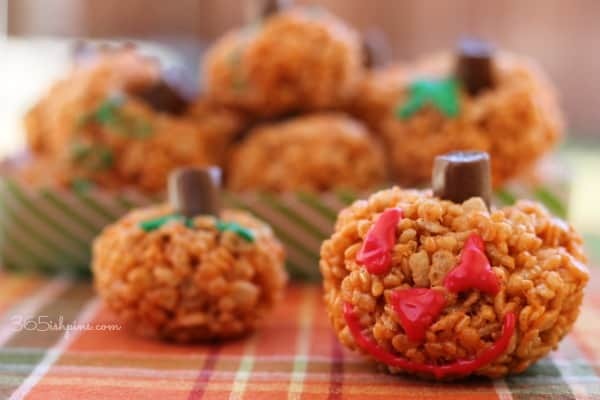 You could also use candy corn to make the eyes and nose and attach it with some icing. 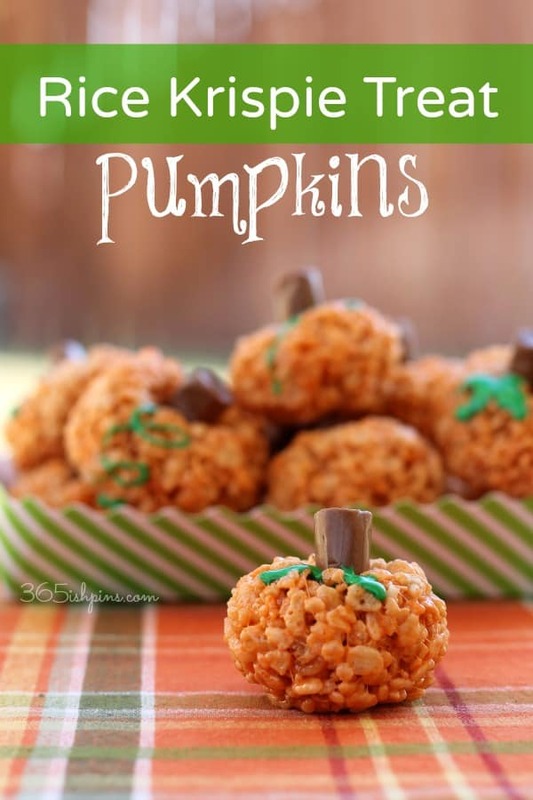 These are a great little snack to take to a Halloween party, or a Harvest party at school, especially if you get the kids to help! 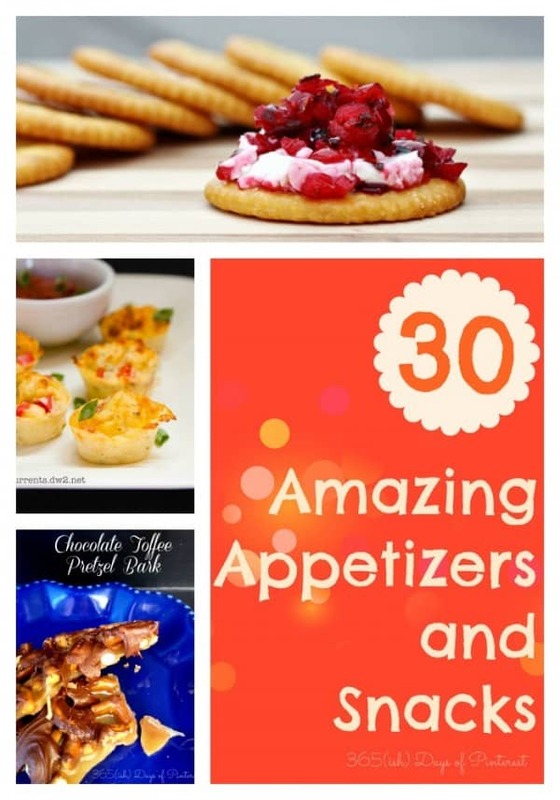 If you are looking for some more great party snacks, check out this roundup of appetizers. I love appetizers! 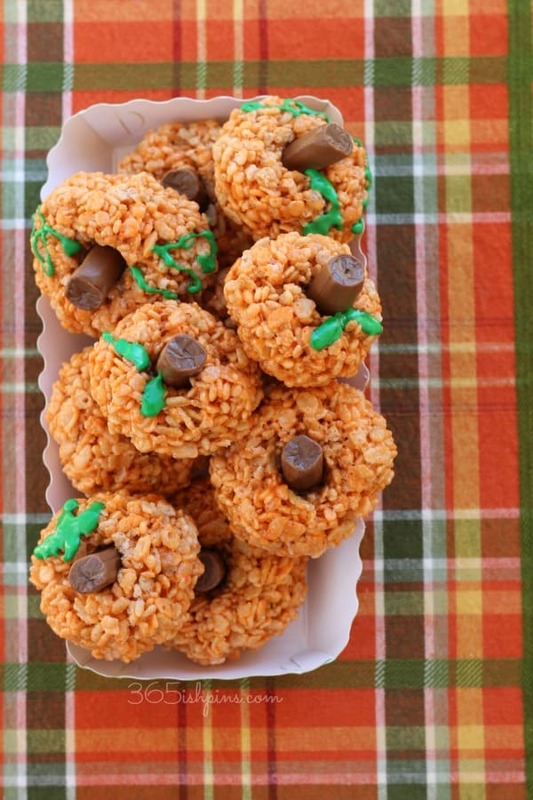 For me, they make the perfect party food. Honestly, when it comes to parties and holidays I would rather skip all the main dishes and fill up my plate with little bite-sized morsels.